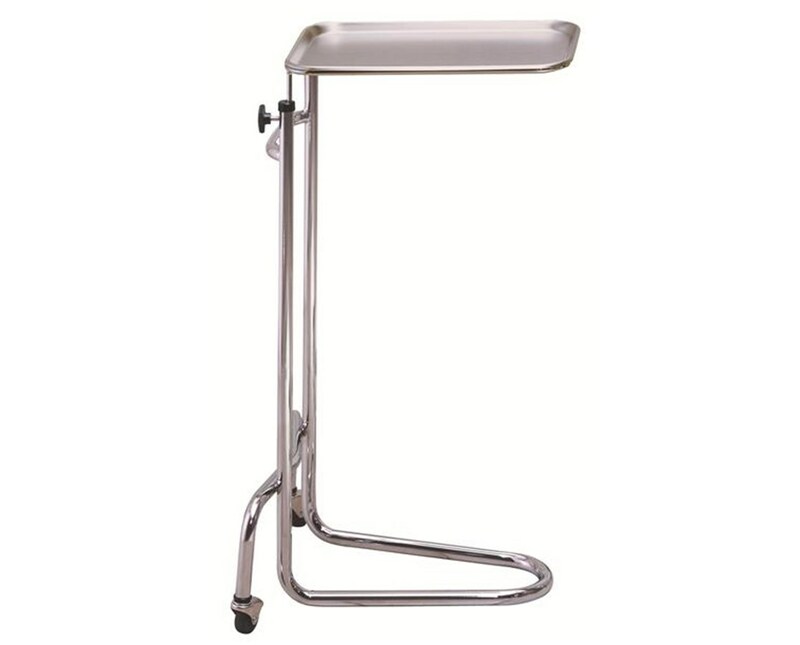 The Brewer 11100 California Style Mayo Instrument Stand is designed for convenience during surgical procedures. It boasts a secure height adjustment from 34" to 53", 1" chrome plated steel tubing and a California style base for effortless positioning. The Brewer 11100 fits into tight areas for easy instrument access. 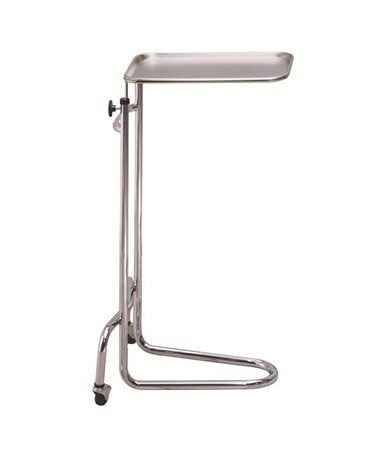 Brewer's instrument stands are portable, durable and flexible. All Brewer instrument stands come with a 5 year warranty. Tray :19.25" x 12.62" x .75"
2 rubber wheel, ball bearing casters. Stainless steel tray: 19.25" x 12.62" x .75”.